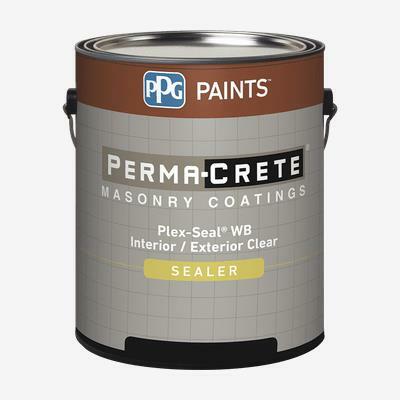 PERMA-CRETE® PLEX-SEAL® WB Interior/Exterior Clear Sealer is a clear, non-yellowing, film forming, water-borne acrylic sealer ideal for use on interior/exterior, above-ground, vertical and horizontal surfaces. This fast drying sealer has excellent hot tire resistance and adhesion. PERMA-CRETE® PLEX-SEAL® is water resistant and seals the surface while maintaining the natural appearance of the substrate. It is ideal for use on concrete surfaces such as garage floors, driveways, pool decks, walkways, warehouse floors and more.